Gaining increased annual prominence as a staging post for hotly anticipated releases in the latter half of the year, The Edinburgh International Film Festival kicks off again this week. Cosily distanced from the other major European film galas in the thick of the great Scottish summer, months after Cannes is a hazy memory on the azure Mediterranean horizon and long before London’s autumnal dalliance with the silver screen, EIFF is quickly moving out of the shadows of the City’s world-class arts pageant to exist as a separate entity in its own right, fully capable of mixing it with the big boys of the international film carousel. 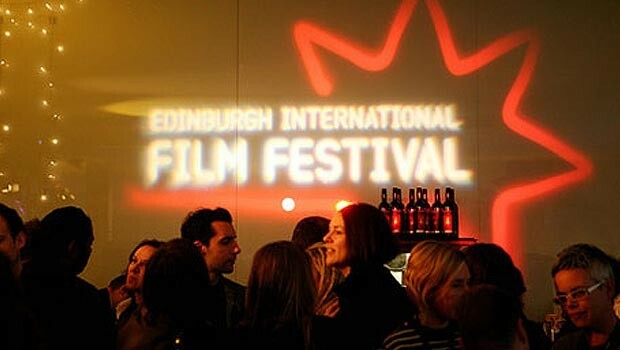 For 2003, EIFF will offer up twelve days of contrasting and provocative cinema that transcends genre, media and national boundaries (including an indigenous short film programme, contemporary and classic feature films from around the world and innovative animation) to an astute and knowledgeable local and international audience. The lifeblood for any film festival has to be an annually sustained collection of “first look” Premieres and high profile attendees. Combining these elements successfully enhances the kudos of the event, magnifies the buzz of expectation and ensures a unique, diverse and stimulating experience for all concerned. Swedish pop promo director Jonas Akerlund’s debut feature Spun is a frenetically paced insight into the lives of teenage speed-users, filling their days getting high and wired in the wasteland of American suburbia. Spun cleverly dresses down some of Hollywood’s most glamorous rising stars as strung-out lounge loafers, including Brittany Murphy, Mena Survari and Jason Schwartzmann. The film has been described as a “ninety minute pop-video”. Could be fun? Belleville Rendezvous is a French feature length animation film from Sylvain Chomet. Stylistically indebted to the films of Gallic forerunner Jacques Tati and heavily engrossed in a not-too-subtle anti-American feeling, this is a charming movie, high on wit and elegantly conceived. It will certainly appeal to the Bush-baiters amongst you! Another animated feature with a French twist is Interstellar 5555: the 5tory of the 5ecret 5tar 5ystem, a collaboration between Parisian house music supremos Daft Punk and Japanese Animator Kazuhisa Takenouchi, merging galactic beats with stunning oriental animation. In America is writer-director Jim Sheridan’s latest movie about a modern Irish family who emigrate to New York in search of the much coveted “American Dream” (someone ought to start copyrighting that). Co-written by Sheridan’s daughter Naomi, In America stars the in-form Samantha Morton and Paddy Considine as the young parents unprepared for what they will find in the Big Apple. Jim Sheridan is also featured in conversation at one of the festival’s many discussion events. Still on the Irish theme, Intermission is being billed as Trainspotting transported across the water to the emerald isle, Lazy journalism if ever I heard it. First time director John Crowley takes us on a convoluted journey into the lives of a collection of Dubliners and their intertwining stories of wonder and woe. Drawing parallels with Young Adam, Intermission also features “the local Gaelic boy done good” in the form of heavy-lidded Hollywood conqueror Colin Farrell, who also returns to his beginnings as a roguish hard-nut with a tendency for throwing bricks through car windscreens. Comedy-horror crowd pleaser Cabin Fever went down well at the Toronto Film Festival last year, and Edinburgh initiates should stiffen their sinews for the ubiquitous group of teens trapped in the woods and all the fun and frolics this usually entails. This time, a flesh-eating virus is taking down the high school heroes one by one. Any horror fans in the house? Party Monster is Macaulay Culkin’s low-key return to our screens. Culkin stars as Michael Alig, one time party king of 1980’s New York, whose drug-fuelled lifestyle soon catches up with him. Randy Barbato and Fenton Bailey already turned this story into a feature-documentary, and their dramatisation is typically quirky US indie-fare. Seth Green and the heavenly Chloe Sevigny co-star. Also on the bill is Camp, Todd Graff’s sideways look at the fame game; featuring pushy mums and obnoxious kids, and Francois Ozon’s first English language feature: Swimming Pool, starring Charlotte Rampling. You can find out more about these two films in the Future Movies review section. And if all that hasn’t worn you out there is also retrospectives featuring the work of Charlie Chaplin and French director Georges-Henri Clouzot, plus Q and A’s with Mike Hodges, Terence Davies and Peter Greenaway not to mention countless workshops and master classes. Featuring a line-up this diversely satisfying set against the backdrop of a city that becomes the centre of the cultural universe for three weeks every year, EIFF is certainly worthy of shelling out for a cheap flight or enduring an overnight bus journey, if you happen to be rooted down south. For those of you closer to the action, enjoy the Edinburgh High-life!